The mission of CEA Global Education is to create and facilitate opportunities for academic achievement, global competence and personal growth through quality international education. Being competitive in the global economy requires cutting edge knowledge, international experience and skills for the global workplace. North American students understand this, and this is why study abroad has grown by more than 300 percent during the past 15 years. As more students take advantage of this life-changing opportunity, CEA Global Education has developed ways to help students negotiate the many hurdles – academic, financial and cultural – to going abroad to learn and grow. 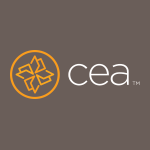 CEA prides itself on offering exemplary customer service to students throughout their experience, from our innovative uses of technology to our caring personal admissions counselors, site specialists and talented faculty abroad.